The name “Costco” may evoke jumbo packs of cereal or paper towels, but a new survey proves the brand is valued for more than just discount pantry goods. According to Market Force Information, Costco beat out Ikea to become America’s favorite store for home furnishings. 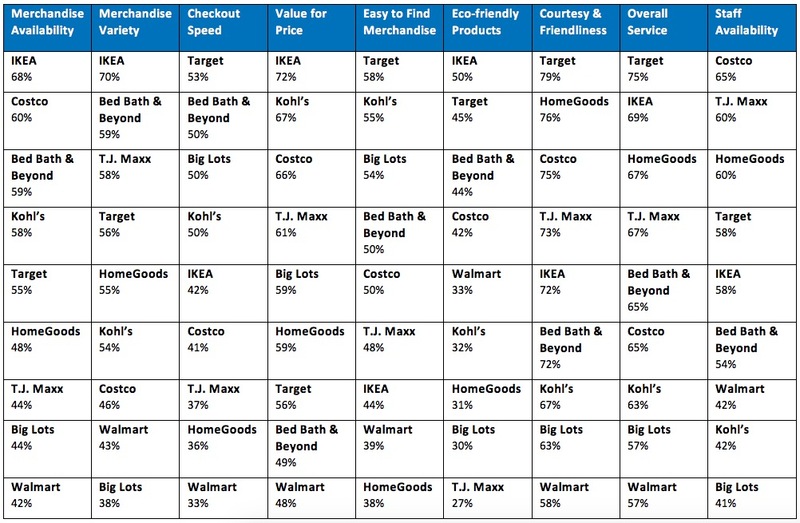 The survey, conducted online in May among 3,467 consumers, showed that Costco had the highest composite loyalty score in the home furnishings space. It narrowly beat out Ikea, with Target, T.J. Maxx and Kohl’s filling out the top five. When it comes to merchandise variety, availability and value, Ikea outranked Costco and all other competitors. Target was seen as the speediest checkout option where the merchandise was easiest to find, as well as the most courteous experience with the best overall service.